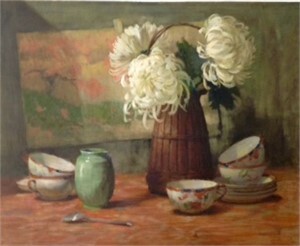 Susan J Foster, internationally known award-winning artist, was born in Warren, Ohio. She studied at OCA in Toronto, Ontario and with friends she considers to be some of the finest teachers in the world. Susan has exhibited extensively, including solo shows in Charleston, S.C. and Sarasota, FL. She was a finalist in the world-wide competition "Blossom 2, Art of the Flower" and has, among other prizes, won the Bowles Award for Portraiture. 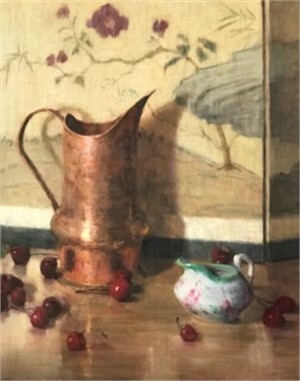 Formerly an instructor at Ringling College of Art in the CCSP program, Susan now teaches Still Life painting at the Southern Atelier in Sarasota, Florida, where she and her husband Norm and their Cavalier, Posy, currently reside. "Every painting offers me a fresh challenge, something to strive to convey....perhaps a sense of space, grace, sustenance, a texture or fragrance of something lost or something I wish to be found, or the frailty and brevity of life on our planet. Or perhaps, a place to come home. I never quite feel like I capture that thing, whatever it is, but so far have been able to resist the urge to entitle paintings "No, but I like this bit right here" or "Not Quite...Number 934". But I love every one of them for what they have shown me about painting, about myself and my ongoing journey as an artist and as a teacher." 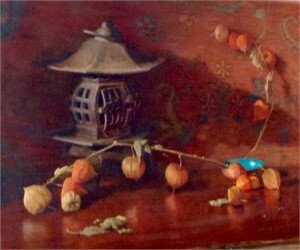 Susan J Foster, internationally known award-winning artist, was born in Warren, Ohio. She studied at OCA in Toronto, Ontario and with friends she considers to be some of the finest teachers in the world. 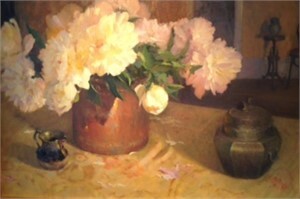 Susan has exhibited extensively, including solo shows in Charleston, S.C. and Sarasota, FL. She was a finalist in the world-wide competition "Blossom 2, Art of the Flower" and has, among other prizes, won the Bowles Award for Portraiture. 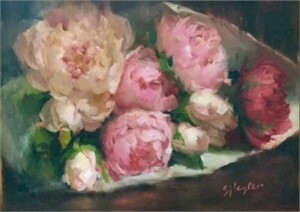 Formerly an instructor at Ringling College of Art in the CCSP program, Susan now teaches Still Life painting at the Southern Atelier in Sarasota, Florida, where she and her husband Norm and their Cavalier, Posy, currently reside. "Every painting offers me a fresh challenge, something to strive to convey....perhaps a sense of space, grace, sustenance, a texture or fragrance of something lost or something I wish to be found, or the frailty and brevity of life on our planet. Or perhaps, a place to come home. I never quite feel like I capture that thing, whatever it is, but so far have been able to resist the urge to entitle paintings "No, but I like this bit right here" or "Not Quite...Number 934". But I love every one of them for what they have shown me about painting, about myself and my ongoing journey as an artist and as a teacher."